Toulouse is too often overlooked, but Toulouse is one of France’s most historic and fascinating cities: overlook it at your own peril. 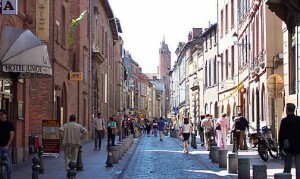 Known as the “Ville Rose” due to the outnumbered brick-build buildings, Toulouse is a melting-pot of culture, art, architecture and industry. Elegant squares, atmospheric old town and lovely covered markets, not to mention some of the tastiest French cuisine, all mixed in a small and walkable city centre. Toulouse is among the few cities which feel authentically French, it’s like a southern version of Paris only smaller, cheaper and friendlier with fewer crowds, warmer weather and less tourists. 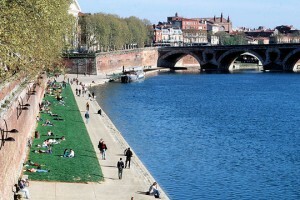 One of Toulouse major assets is the River Garonne parting the town in two, perfect for an afternoon stroll or picnic public parks sprawl along its banks. 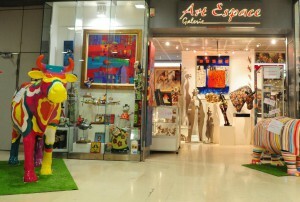 Pop-up food stalls and flea markets shines in every day life of Toulouse. In the past Toulouse was one of the most powerful trading cities of France, proof of that past wealth can still be seen in the “Vieux Quartier” (old quarter) which centres around the place du Capitole, a vast public square in front of the city hall and opera house. The Old quarter is a photogenic idyll of part medieval streets, stately mansion of the 16th and 17th century. More than 50 of these rich merchant and nobles houses still survive, their ornate facades of sculptures and stonework shows the immense wealth that flowed through the city, though only a few are open to the public, like the Hotel d’Assezat, now home to a prestigious private collection. Toulouse boast of its churches too ,Most notably, the Basilique St-Sernin, built between 1080 and 1120, one of France’s finest examples of Romanesque architecture. Containing the reliquary of Saint-Sernin himself, the Basilica is an important stop of the pilgrimage to Santiago de Compostella. A great part of Toulouse culture is related to food, Dishes as the Cassoulet a stew made of meat, beans and confit de canard (duck cooked in its own fat), a staple of south west cuisine. Toulouse is although proud of its own sausage, the saussice de Toulouse made to the same recipe since the 18th century, as well as its own AOC (appellation d’origine contrôlée- a certification that guarantee the quality of local produce). On of the best ways for discovering the local cuisine is to take a stroll in one of the several covered markets, one of the most famous, Les Halles Victor Hugo where most of the food producer have a stand since generations. 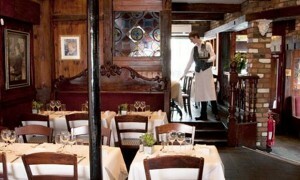 Even without buying you can taste the French love for cuisine. Toulouse is an important place of science, starting with the university founded in 1229 and home to more than 100,000 students. Now Toulouse is home of the Airbus main base ( visit possible). Not to be missed for every space lovers is the Cité de l’Espace (Cite-espace.com) an innovative museum that exhibit a full size replica of the Mir Space Station as well as an53m-high Ariane 5 space rocket. Toulouse isn’t all about plane and interplanetary travel, but although art. Former slaughterhouse of Toulouse “Les Abattoirs” where redeveloped in an impressive exhibition gallery for modern and contemporary art. If you look for classical art forms, the Musée des Augustins is made for you encompassing ereas from Romans to the 20th century, housed in the former Augustinian monastery its a work of art itself. Rugby is a religion in this part of France, On match days the city is painted in red black and white, the colours of the Stade Toulousain (stadetoulousain.fr) the local rugby team is one of the most successful. If you want to come close to the locals, simply make mention of the “Les Rouges et Noires” and you will find new friends.